Perfect add-ons to skin treatments for a complete skin retreat. 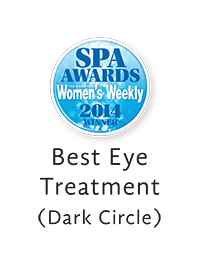 Tailored for lacklustre eyes, this booster combines a hexapeptide eye ampoule and seaweed extract, ice and heat machine stimulation, and skilful massage to improve blood circulation, reduce visibility of fine lines, dark circles and enhance moisture level and firmness. An ultra-moisturising therapy that nourishes dry, cracked lips. A rich formula of Honey and Karite Butter reduces fine lines and wrinkles on the lips while special vegetable collagen visibly plumps lips. Specially focusing on this much-neglected area, this treatment moisturises and smoothens skin's texture and tone. Using lifting massage techniques, neck will appear firmer and more supple.